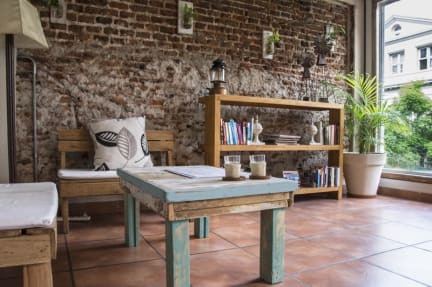 V&S Hostel Club is housed in a renovated 19th-century French-style house and offers budget accommodation in Buenos Aires, just 400 meters from the Obelisco. Lavalle Metro Station is 200 meters away. It has a shared kitchen. The private rooms of V&S Hostel Club are spacious and bright. They have floor with carpet or porcelain, private bathroom. Shared rooms have a shared bathroom. Guests can make use of the shared and equipped kitchen. We offer a terrace in the city and a reading room where you can enjoy a coffee or tea. Each guest has lockers available in each shared room and we offer a deposit with private lockers. Before check in or after check out the guest can leave their luggage in our deposit at no additional cost. The property offers free city maps, free walking tours. At the reception it is possible to book tickets for art exhibitions, tango shows, football matches. The property provides laundry facilities and luggage storage. V&S Hostel Club is 300 meters from the Obelisco and 200 meters from Florida Street. We offer the transfer service IN/OUT to International and National Airport by regular or private bus. Tive problemas de comunicação, fiz reserva em quarto compartilhado com ar condicionado e café da manhã incluso, quando cheguei no Hostel me disseram que minha reserva não tinha café incluído e também tive que pagar taxa extra pelo ar condicionado que não funcionou direito. Acho que no mínimo deveriam devolver meu dinheiro já que o sono perdido pelo calor, não há como recuperar. Great opportunity to be located in the city center of Buenos Aires and be hosted in a calm, beautiful and clean enviroment! 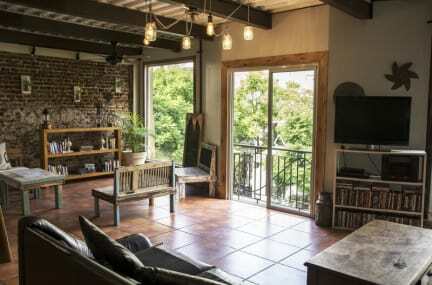 Recommens for those who don't seek for a party hostel, but rather for quality time! It's Nice and wonderful. Everything perfect. Lugar tranquilo e muito bem localizado. Café da Manhã simples porém saboroso. Instalações limpas e organizadas Banheiro bom e limpo.